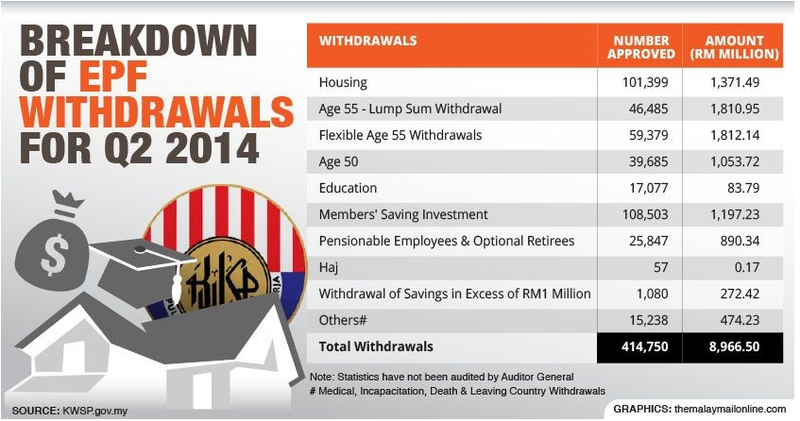 According to recent figures from the Employees Provident Fund (EPF), the approximately 70,000 active 54-year-old contributors have an average savings of just under RM167,000 last year. The recommended minimum savings level is RM196,800. But even RM167,000 is scant consolation. As the average Malaysian expected to live until 75, retiring at 60 with that amount would mean surviving on just RM700 a month for the rest of their days. With that amount, retirees would technically slip below the RM830 per month threshold that is indicative of poverty conditions in peninsular Malaysia, based on the Statistics Department’s poverty line income (PLI) for 2012.